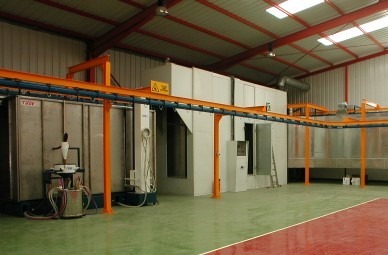 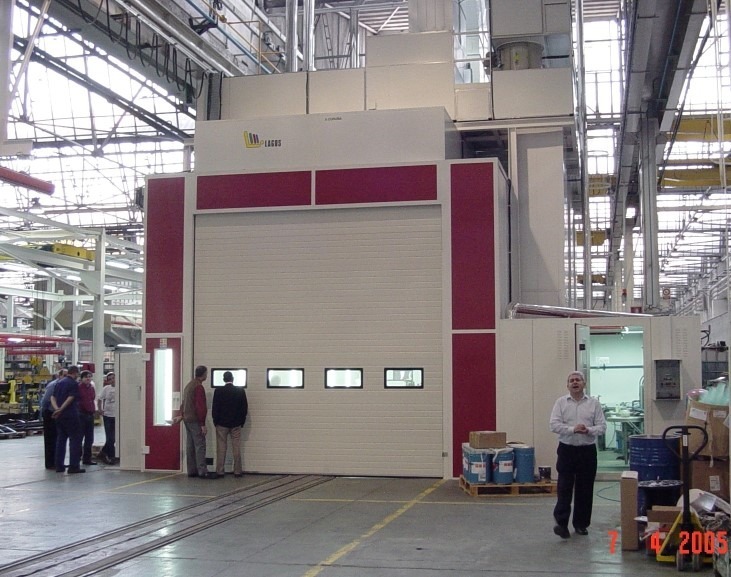 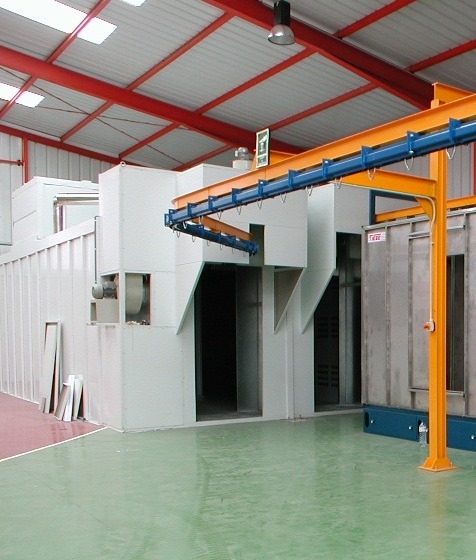 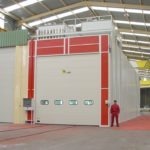 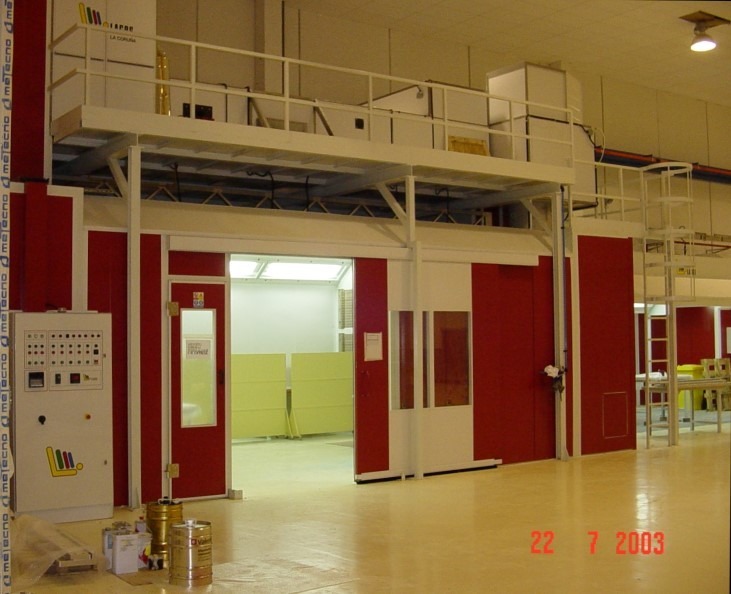 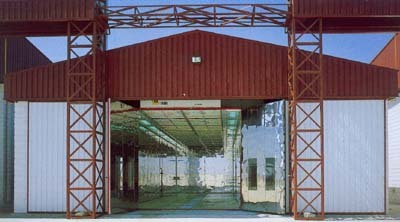 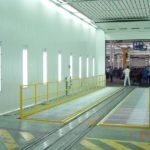 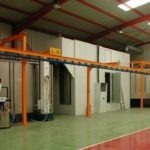 We design and produce treatment lines for capital goods and machinery, construction, packaging, pieces and other areas. 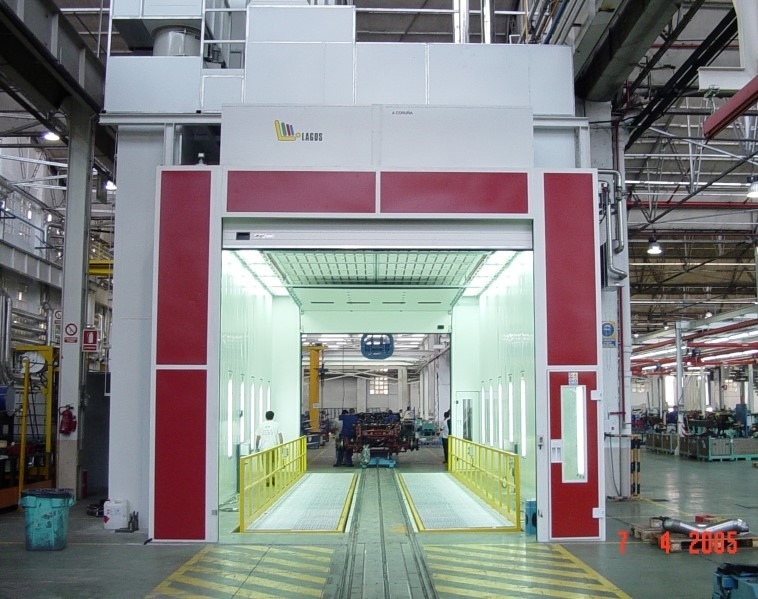 The industrial standards for the treatment of surfaces are, for most of the working areas on metals, metalloids and composite materials, a key element of the quality of the finishing perceived and its “performance”. 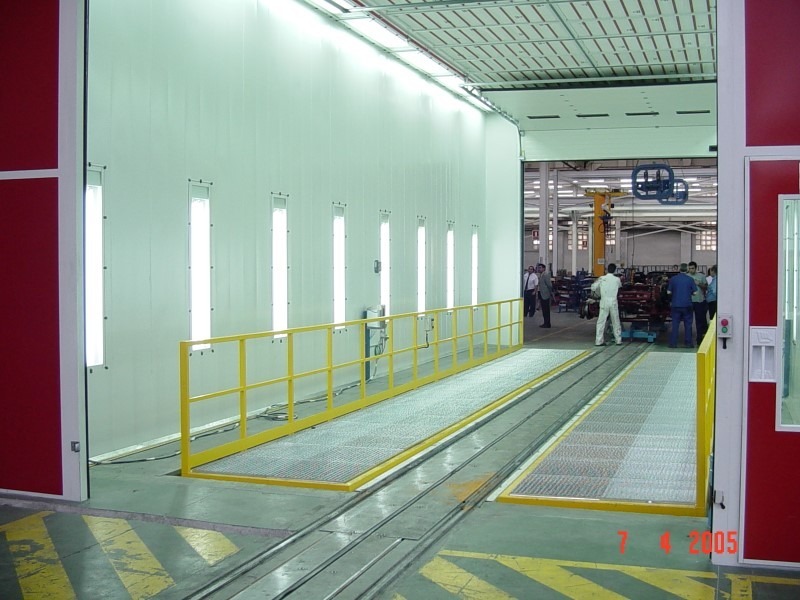 At Lagos, we implement control and automated (robotized) systems that ensure process traceability, a comprehensive temperature and humidity control and the process conditions to adapt it to the highest demands, without compromising process-runtime and agility. 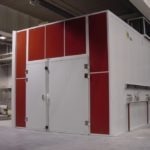 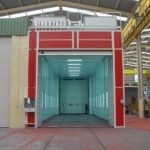 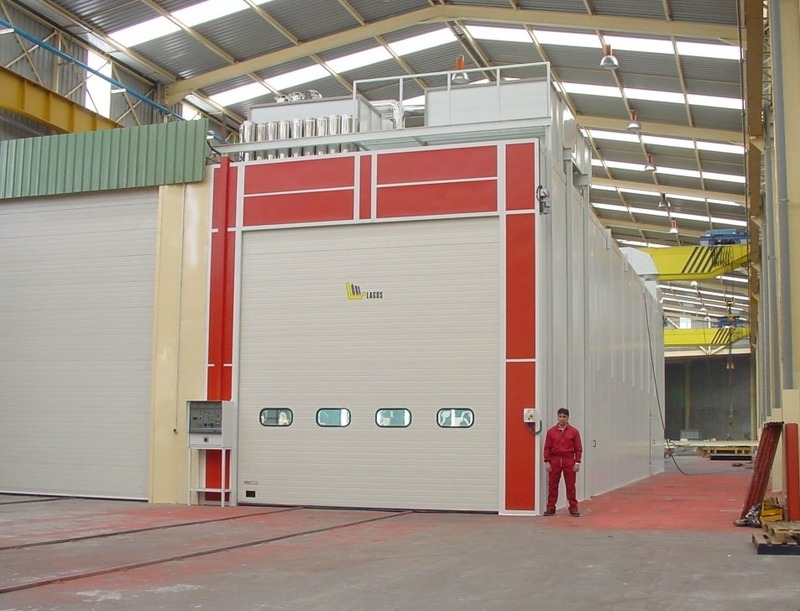 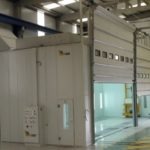 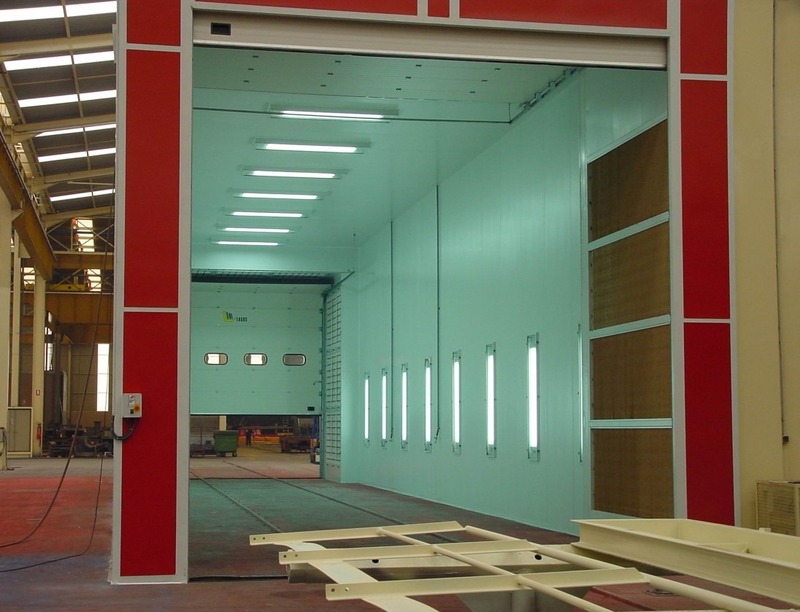 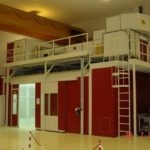 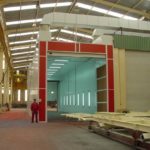 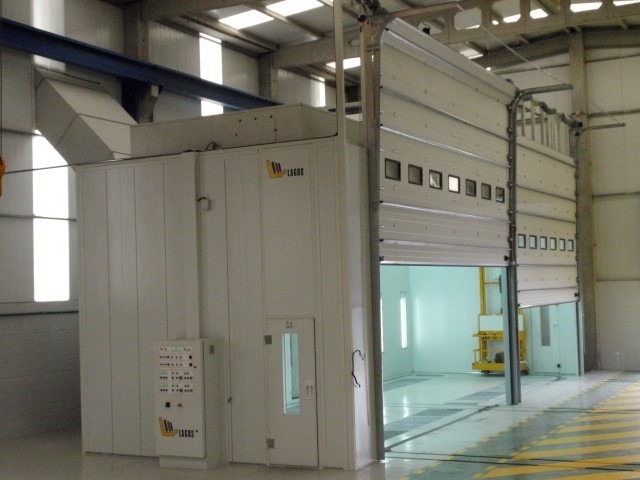 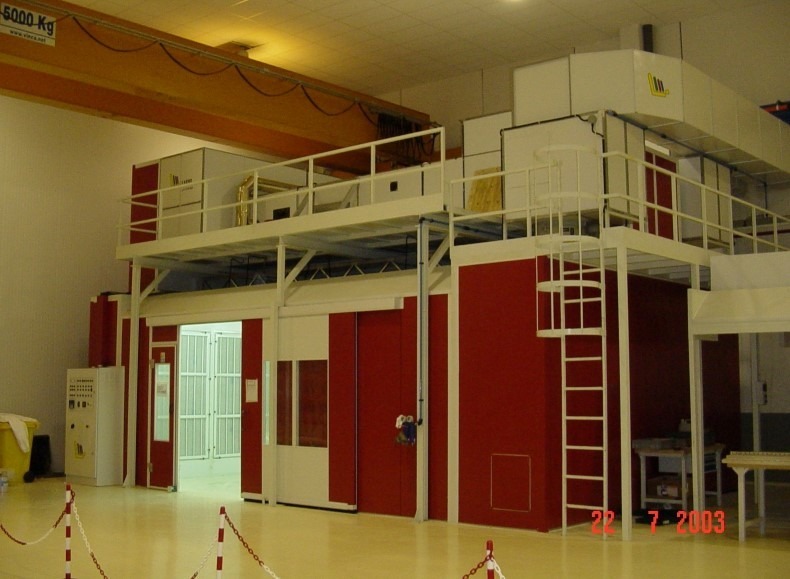 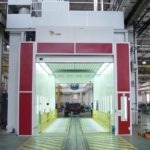 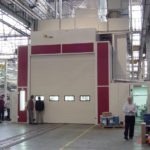 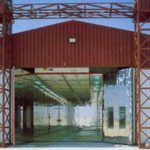 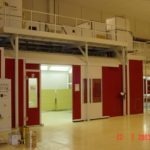 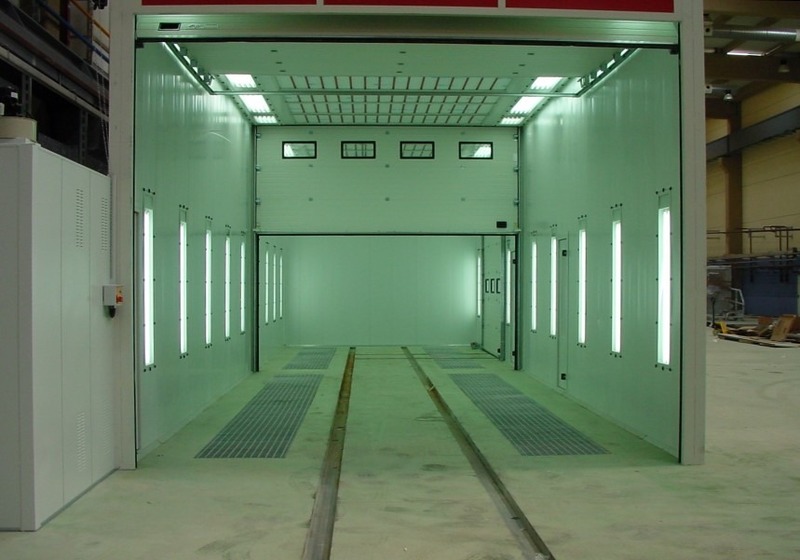 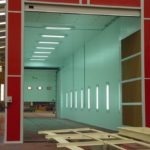 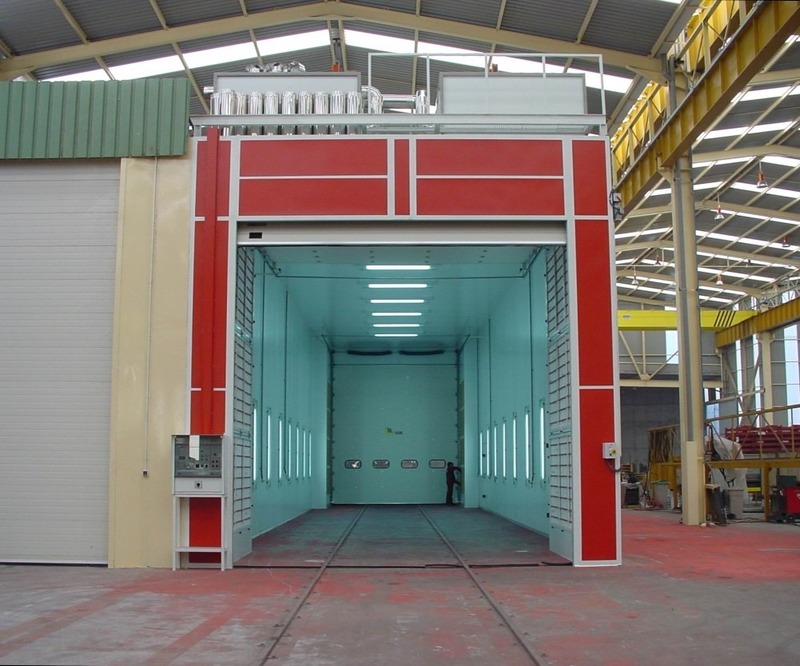 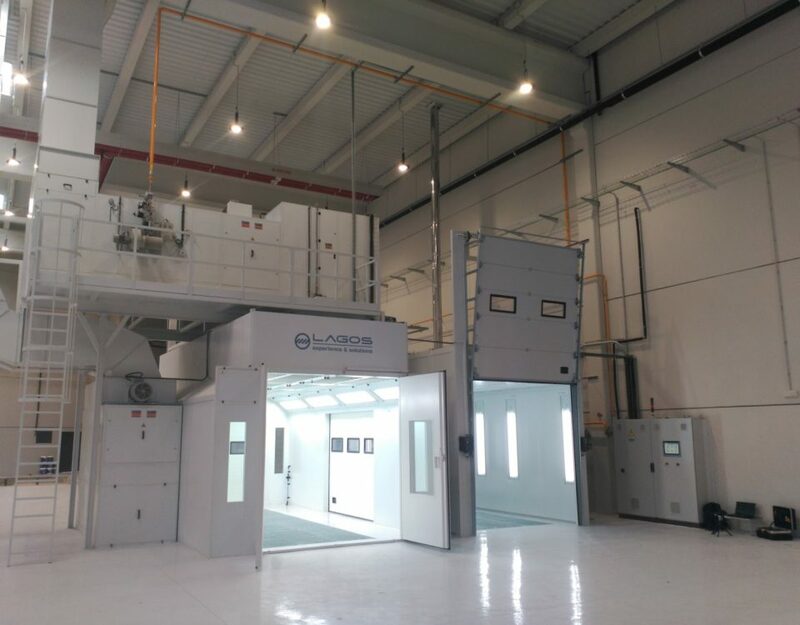 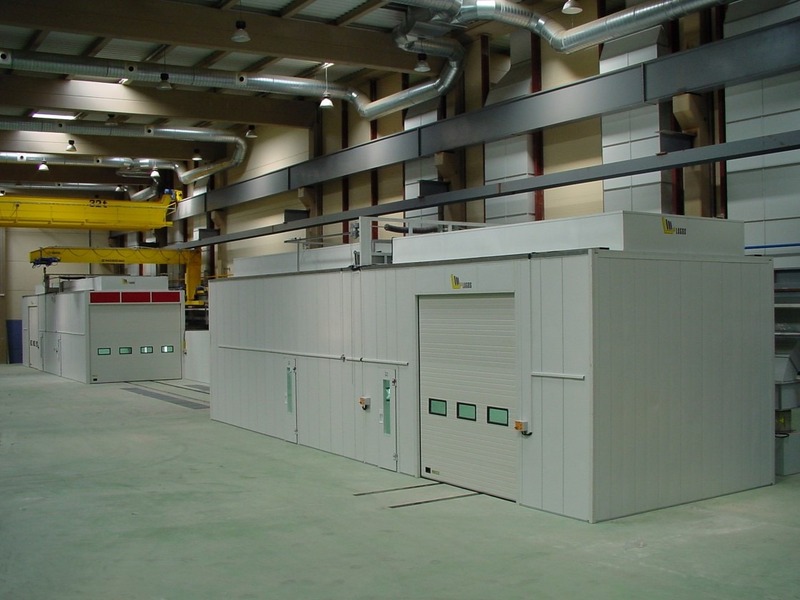 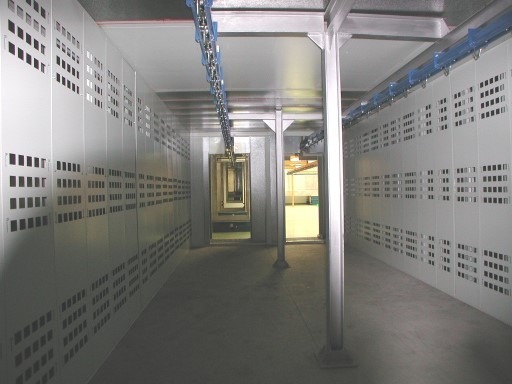 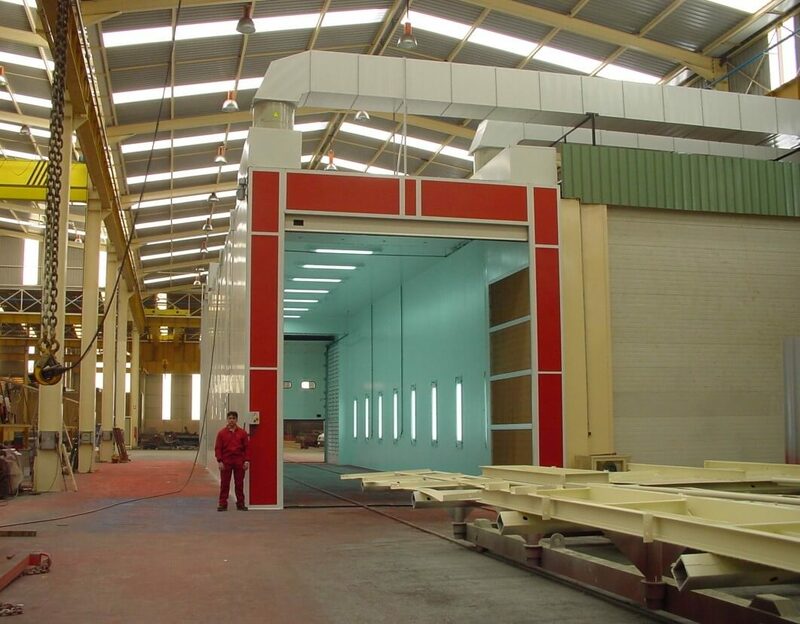 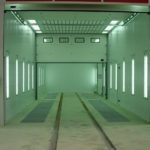 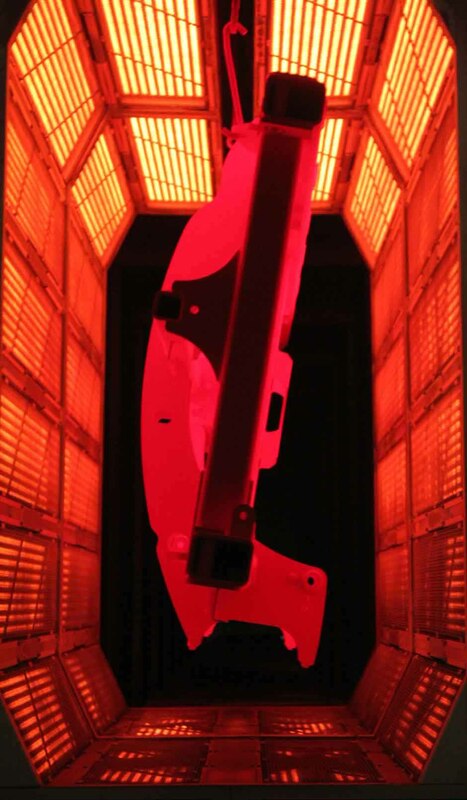 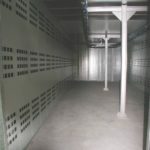 Our booths ensure that the process of shot-blasting and previous preparation, as well as the application of the paint are flexible concerning the different materials and layers applied. 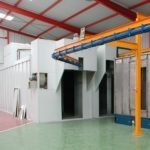 With more than 30 years active in the manufacturing industry, we know how to help you to provide value to your customers. 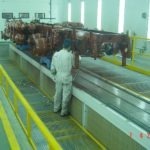 Companies, references in the world in terms of heavy-duty machinery, as Liebherr, large-scale manufacturers of electrical and thermal machinery like Caterpillar, manufacturers of transformers and large groups of international reference as Vinci, Eiffage or Acciona have trusted Lagos their surface treatment processes. 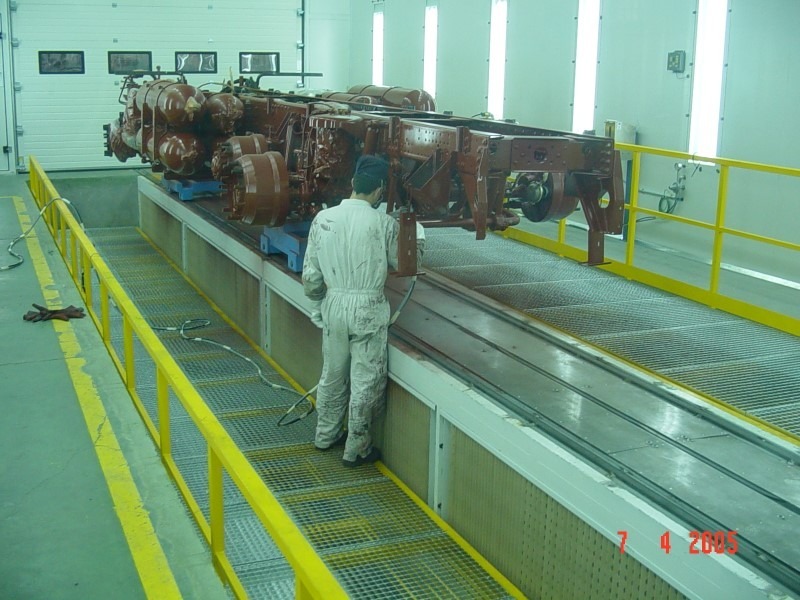 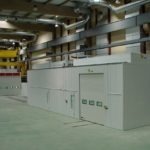 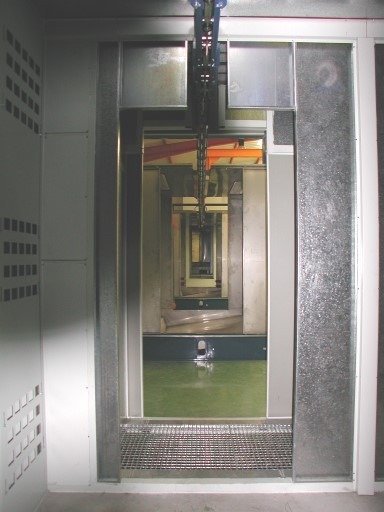 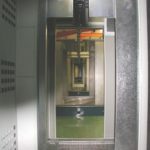 Our equipment and processes ensure a high quality-level in the finishing, reduced processing time, lower investments with faster return periods as well as lower operational and maintenance costs. 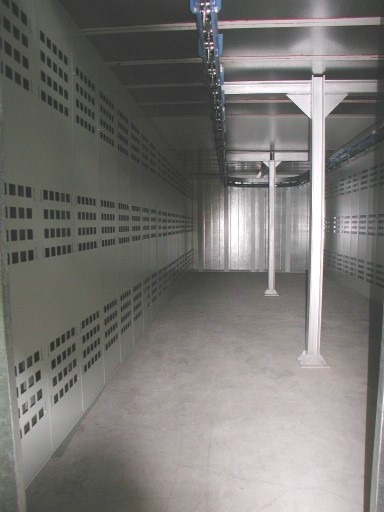 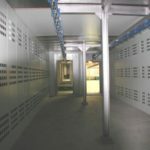 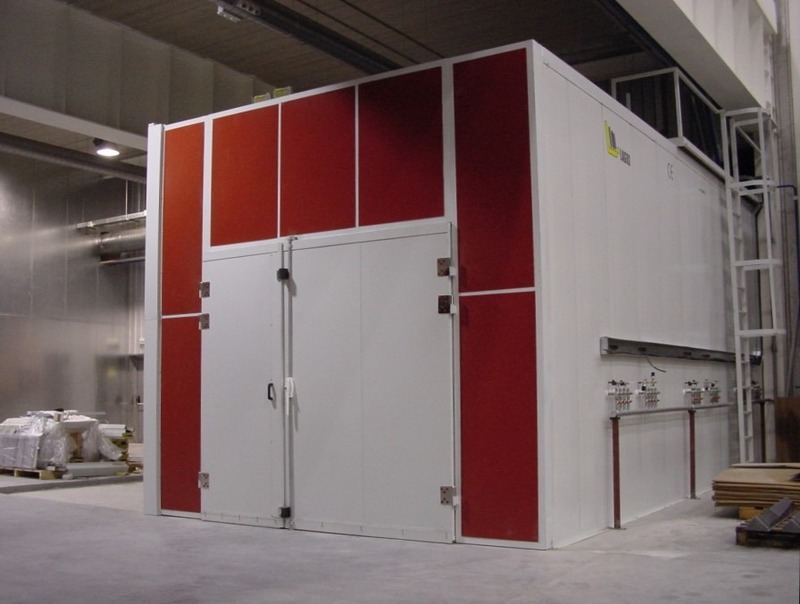 Our boothshave the lowest noise level in the market (73 dB) thanks to the efficient plenum insulation and the high quality motors that we use.